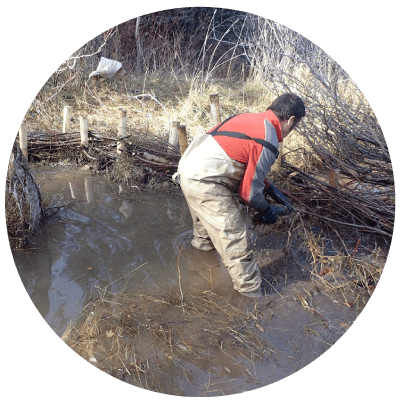 At Anabranch Solutions, we tackle restoration challenges differently than most. We look to rivers and ecosystem engineers for clues about how to harness these alternative solutions that may seem to diverge from standard practices, but we think will ultimately converge on more efficient and self-staining solutions to the challenges we face. Nick weaving dogwood branches into a BDA. ​​At Anabranch Solutions, we believe in common-sense, science-based solutions that enable our clients to tackle restoration and conservation challenges. We are a one-stop, planning, design, build and adaptive management firm. However, we also specialize in knowledge transfer and sharing our skills and expertise with clients who want to be able to do more with the finite budgets they have. We know that many of our clients are capable of undertaking restoration projects themselves, but may struggle in knowing where to start, how to build realistic expectations, and how to implement cheap and cheerful solutions. Once some get started, they may be fairly comfortable, but seek some occasional advice and guidance. We subscribe to the principles of design elegance that seemingly, effortlessly blend aesthetically pleasing form (habitat) and function (fluvial and ecological processes). The key to achieving this is striving for the simplest solutions possible that 'let the water do the work' (a la Bill Zeedyk) or, in the case of beaver, 'let the rodent do the work'. This is what we call PBR-Light (or low-tech Process Based Restoration). Good designers know when to employ the right mix of these solutions and where to avoid them or use them sparingly (or not at all). Unlike firms that insist that only a licensed engineer and over-priced design will be able to do the job, we know that when you work with natural fluvial and biotic processes to harness their dynamism, simpler designs will often suffice. There is a time and a place for the heavy-handed, over-engineered, conservative designs that can only be built with Tonka toys, and there are plenty of capable firms that specialize in that sort of project. We believe the utility of those approaches is limited to a small proportion of our degraded watersheds and waterways. Moreover, despite billions per year of investment in such approaches, the restoration industry has barely scratched the surface on the true scope and magnitude of the problem. Our approach is different, and borrows from what rivers and streams can teach us. The key to simpler designs is working smarter and more efficiently to invest the restoration resources we have to maximize their impact across greater spatial extents. A simpler design does not mean a less rigorous, or less robust design process. Our design process is hypothesis driven, and focuses on clearly articulating testable design hypotheses at every stage of the design. We have a 15 year track record in this agile design process and we´re happy to share that experience with you. 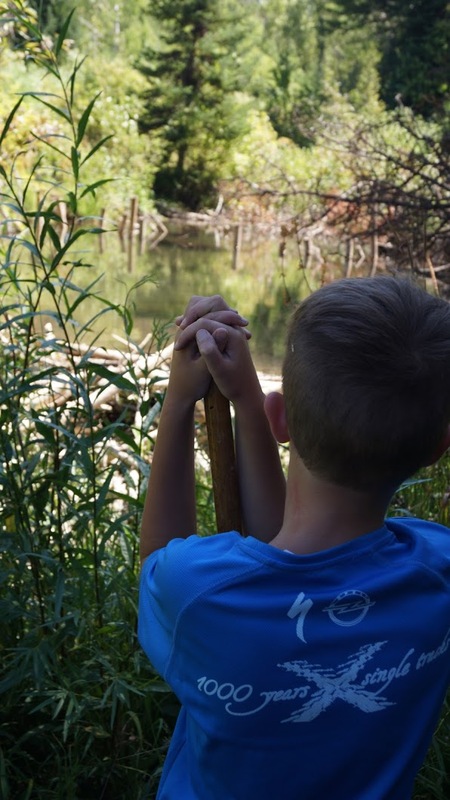 Luke Wheaton (age 8 here) looking at the remodelling beaver have done to a beaver dam analogue he helped build. the long-term solutions to improve river health are going to have to be simple to scale up! While complicated solutions (akin to surgery) are necessary in some complex situations, these come with higher price tags and cannot be the solution everywhere. As such, to truly address the spatial scope of degradation of riverscapes, we need simple solutions (like meals) that can be scaled up in a cost-effective manner. These will be scaled up through, to some extent, our direct restoration interventions. However, the broader and longer-term scaling up will need to be done by the systems themselves. Thus, our solutions need to recognize what processes can be promoted and brought back to do this work effectively.